... for performance art, and entertainment. ... for comedy, world music, and multimedia events. ... for international encounters, festivals, conferences, and art projects. ... for recreational activities for children, teens, and adults. ... for community involvement, and family support. ... for ecological demonstrations, and sustainable development. ... for organic baking, gastronomy, and hospitality. 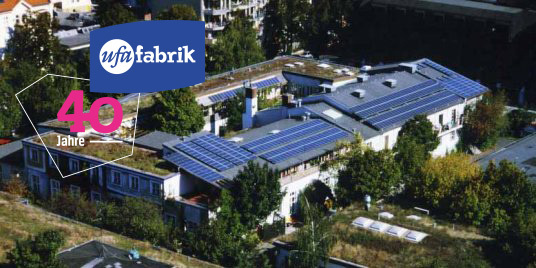 Here you’ll find background information on ufaFabrik and its programs, as well as offers, and initiatives both in and around ufaFabrik. Every day from10am until open end!